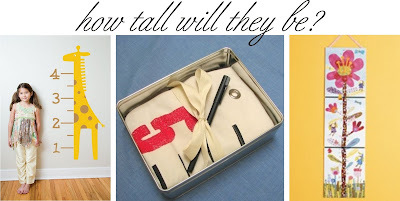 Winks & Daisies: That Tall? I don't think I've ever mentioned that we have/still are in the process of finishing off our basement. I'll have to post some pics of that. We have a 6 year old home. Open ranch concept type. With a family of four we need more space and last year slooowly but, surely with the help of a friend my husband took on the project. You know how us Midwestern people like to "do up" our basements. Well, we now have a second living room area. It's my husbands haven! Okay...mine a little too. Actually, by this summer I'll have my very own workspace office. I'm lov'n the sound of that. I cannot wait! A few days ago our son Leyton fell asleep downstairs before his normal bed time. Poor guy Kindergarten just wipes him out! Anyway, I attempted to carry him up the stairs to his bed. I did do it but, I'm talking about a solid 54 pounder here. I swear it was just months ago that it was a much easier task. When my husband got home from work and gave out night time kisses he called to me from Leyton's room and said to me..."I swear he has grow a ton in just the last month." So the dorks we are...we got out the measuring tape and measured him while he was sleeping. The kid is 5-1/2 and is 49". That is 4'1". So I went here to fill in the info to see how tall this boy will could be. Granted I knew he would have height since I'm 5'10" and my husband is 6' 2" but this indicates that by the age of 18 he could be 6'5"!!! Eeks!!! My biggest regret is not keeping track of this so far. Now I've been keeping my eyes open for a fun growth chart for my kids. These are just a few that I've seen and like. I'm really quite fond of the canvas one here. Did you know you can create short urls with Shortest and make cash from every visitor to your short urls.